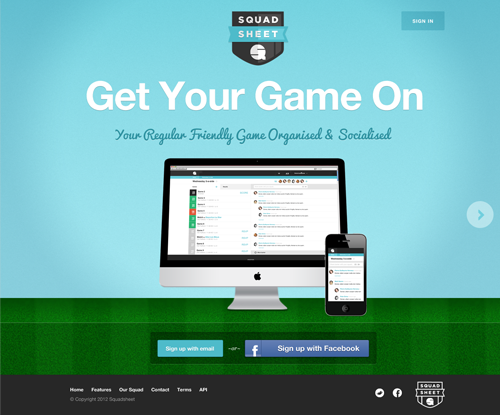 Squadsheet is an app for teams or individuals to manage their sports games. 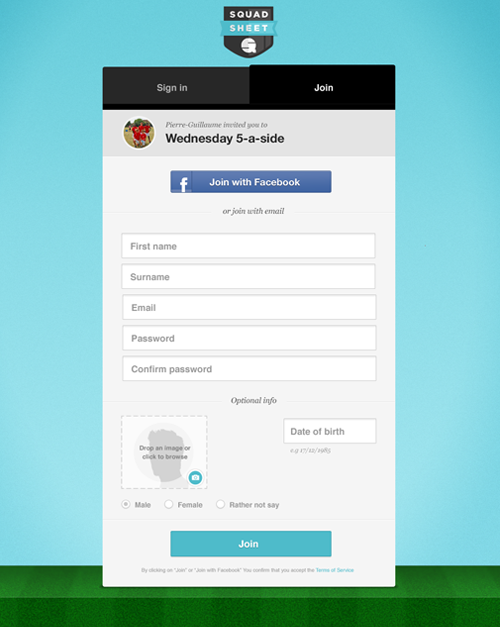 You can find new people and teams to play with and against, arrange game details, record scores and share lots of sporting banter. Get your game on! They’re a very small and flexible team like us so we were a perfect fit for each other right from the off. We have a shared belief in paying real attention to detail, something that really shows in the solution we’ve designed with them. 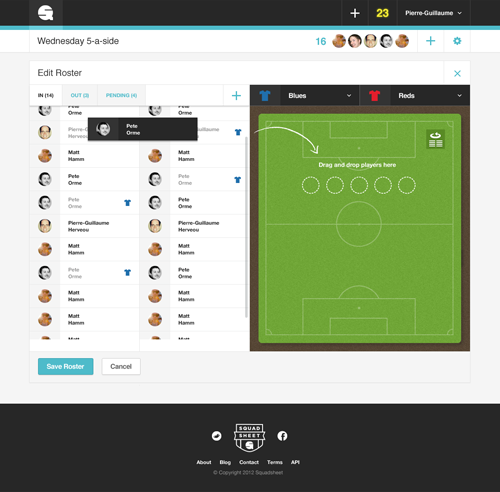 With their own development team in place we focused on the UX and UI design and trying to create a simple, elegant and discoverable interface with a sporting aesthetic that would encourage users to try Squadsheet over the competition. 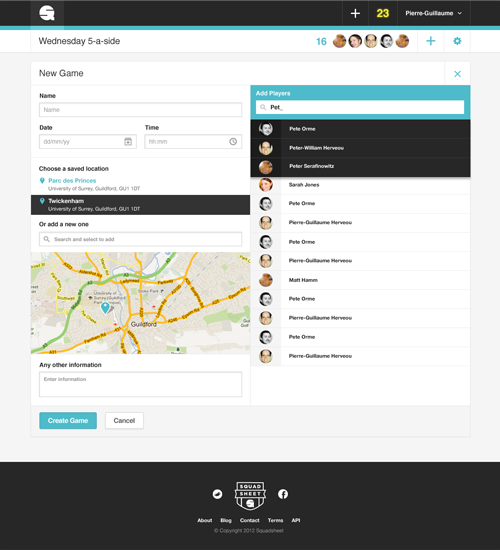 Squadsheet are a French team based in Paris and we continue having great fun working and problem solving with them going forward. We can’t wait to see them grow. Travailler, avec Supereight fut une formidable expérience. Dès le premier jour, nous avons pu former une véritable équipe. Grace à leur talent et expérience nous avons réalisé un site magnifique.